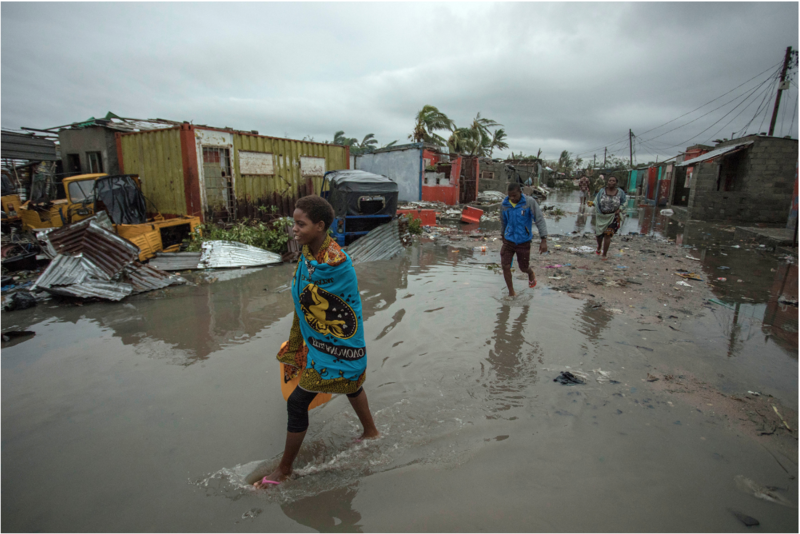 It was disaster everywhere as thousands of people streamed along the road out of Beira, Mozambique. They were trying to escape the floodwaters of Cyclone Idai. An elderly woman carrying her husband on her back. Lost children crying. People shuffling along, trying not to lose their balance in the strong current from the floodwaters that reached up to their knees on the roadway. Then as day dawned, hundreds of bodies were revealed having washed up along the banks of the raised road. Mozambican President Filipe Nyusi estimates that about 1,000 people have died in his country alone, but many feel that estimate is too low. But that’s just the start. How about the 1.7 million people who were affected – left homeless, or without food, water, electricity? 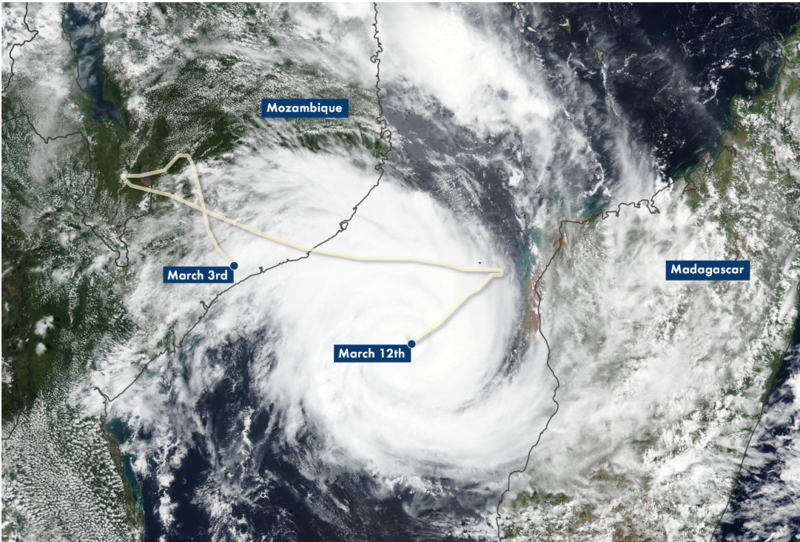 How about the 1.2 million acres that were damaged in Mozambique, much of which will be unable to grow crops now? 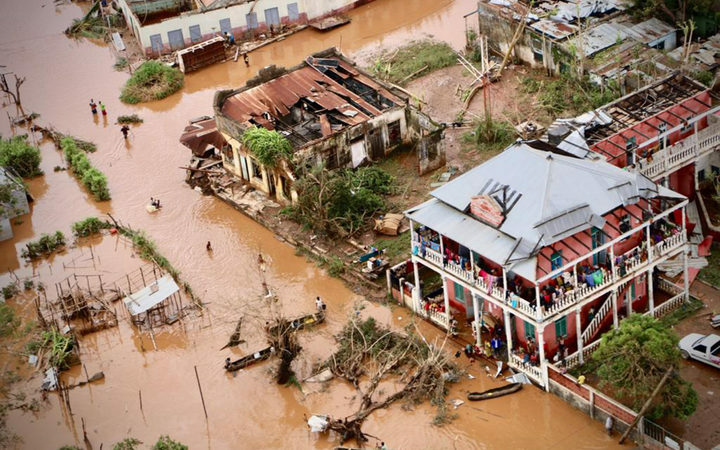 Idai, with its winds of up to 120 mph was powerful enough, but it alone didn’t cause all the flooding. As CNN reports, the area had already been hit by unusually heavy rain. And that is exactly the point: We are not talking about global warming; we are talking about global climate disruption. Severe droughts in one region, heavy flooding in another. That is what the aftermath of Cyclone Idai represents. And instead of a “mere” 1.7 million people, we are talking about tens and hundreds of millions of environmental refugees. Streaming from one region to another. Already, we see the response from the right wing Conte government in Italy to Trump in the US. We have seen something similar with the attacks on Haitians in the Dominican Republic, and on the Rohingya refugees in Sri Lanka. But it won’t stop there. As sea levels rise and as people are driven inland, regions, even individual cities will tend to move to keep “outsiders” out. As this is written, the liberal City of Berkeley is moving to prohibit the homeless who sleep in a camper from doing so in that city. Isn’t that a prelude? This is the real meaning of Trump’s wall, beyond the simple racism and xenophobia. A fortress society. It symbolizes the future that capitalism holds in store… if it does not destroy us in a nuclear holocaust before then. Top: People queue up for emergency rations in Mozambique while others seek to escape. 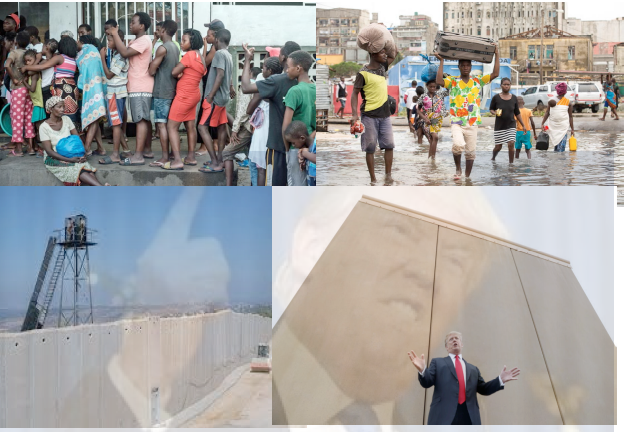 Bottom left: Israel’s Wall; Bottom right: Trump and his Wall. Is this an image of our future under capitalism?